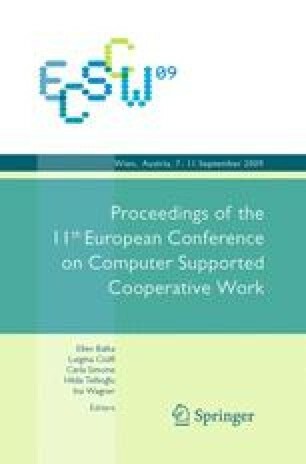 In this paper we conduct an ethnographic study of work to explore the interaction between scientific collaboration and computing technologies in the emerging science of metagenomics. In particular, we explore how databases serve to organize scientific collaboration. We find databases existing across scientific communities where scientists have different practices and priorities. We suggest while these databases appear to be boundary objects, they are better understood as boundary negotiating artifacts. Due to rapid scientific and technical innovation the tools, practices, and scientific questions change over the course of merely a few years resulting in challenges for collaboration.